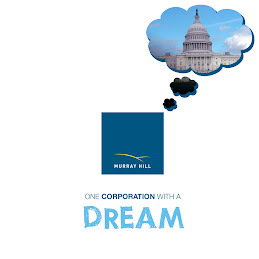 Following is a statement from Murray Hill Inc. for Congress, the first corporation to run for Congress following the Supreme Court’s decision in Citizens United v. Federal Elections Commission. The government’s position in the case was argued by Elena Kagan, President Obama’s nominee to replace Justice John Paul Stevens. “When the U.S. Supreme Court voted 5-4 to protect the right of corporate persons to contribute to federal campaigns, a predictable outcry was raised by some who cling to a misguided belief in so-called “inalienable rights” of bodied persons. Such a notion is so 19th Century! "President Barack Obama joined the fray during his State of the Union address, when he vilified the Court's decision and called for Congress to nullify its impact, provoking a fit of apoplexy in Justice Alito. Now, in a transparent attempt to thwart Murray Hill Inc.'s historic candidacy, the president has stepped up his attack by appointing the very architect of the now thoroughly discredited argument against corporate civil rights. In a stunning and alarming decision that could have wide-ranging consequences to the electoral process, the Maryland Board of Elections again defied the Supreme Court and rejected Murray Hill Inc.'s voter registration for the second time. The Maryland State Board of Elections' 438-word written opinion denied Murray Hill Inc.'s appeal of the board's initial refusal to register the corporation. The board's rejection memo concluded that "Under Sec.3-102 of the Election Law Article, Annoted Code of Maryland, only "an individual" is qualified to register to vote." Murray Hill filed for voter registration in January 2010. The state rejected the application in March and today denies an appeal filed in early April. In a statement, Murray Hill Inc. said, "This is the same old anti-corporate bigotry and cultural myopia that refuses to accept the new world the Supreme Court has charted for us in Citizens United v. Federal Elections Commission. We are shocked and outraged by this attack on our fundamental and inalieanble rights to life, liberty, and the pursuit of happiness by profit."